Outdoor furniture specialists Vincent Sheppard focus on making quality, classical pieces with a contemporary twist. This eye-catching dining chair is no exception, made in the Lloyd Loom weaving technique using robust yet comfortable polyethylene wicker in Old Lace and black. The smooth curvature of the armrests and chair edges provide maximum comfort - with a touch of elegance. The teak base and frame bring the warmth of indoors outside. Edgard combines beautifully with the Leo table. Adds a touch of timlessness to your alfresco setting. 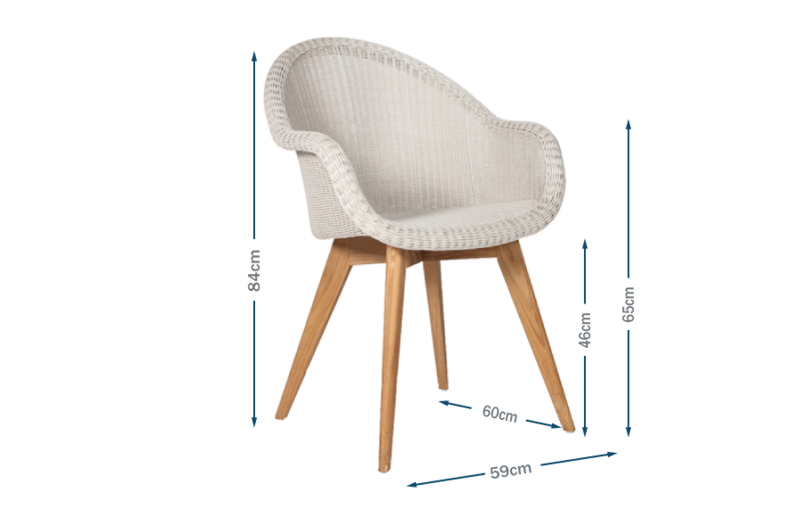 The Edgar dining chair features hand woven high density polyethylene resin upholstery that covers a painted aluminium and teak frame.